Looking Ahead: Is PlayStation Already Winning the Next Console War? It’s the fifth year of this console cycle and time to peak around the corner to predict what might be next. The battle for top spot will be won or lost by the ability to get into our wallets. So which console are gamers planning to invest in when the next generation comes around? The major differences between Sony and Microsoft’s premier gaming consoles have begun to dissolve in recent years. A decade ago it would have seemed unimaginable that Metal Gear Solid, a series which is practically written into the DNA of PlayStation, would ever dare to grace a Microsoft machine. Yet here we are, living in a world where The Phantom Pain exists both on Xbox One and the 360. 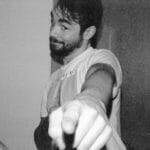 With PlayStation Plus, gone are the days where PS3 owners got the unique privilege of free online play. Sony’s premium subscription service, much like Xbox Live Gold, is now a requirement for a whole host of features, including access to online multiplayer and free games each month. There is, of course, another kid on the block: the Nintendo Switch. Yet it serves a very different niche. Its relative lack of power is offset by a pantheon of Nintendo exclusives and the ability to seamlessly continue play on the go. It’s not as long in the tooth as its counterparts, either. Both the PlayStation 4 and Xbox One are now almost five years into their life cycle. Despite the relatively recent launch of the PS4 Pro and Xbox One S, a new generation of these systems is no doubt on the horizon. With this in mind, what do gamers make of the current iteration of consoles, and how do they feel about the prospect of investing in the next generation? We went to find out. Of those questioned, people who have not bought a console in the last two years, but do still plan on buying one at some point, expressed a significant preference for waiting for the new PlayStation. 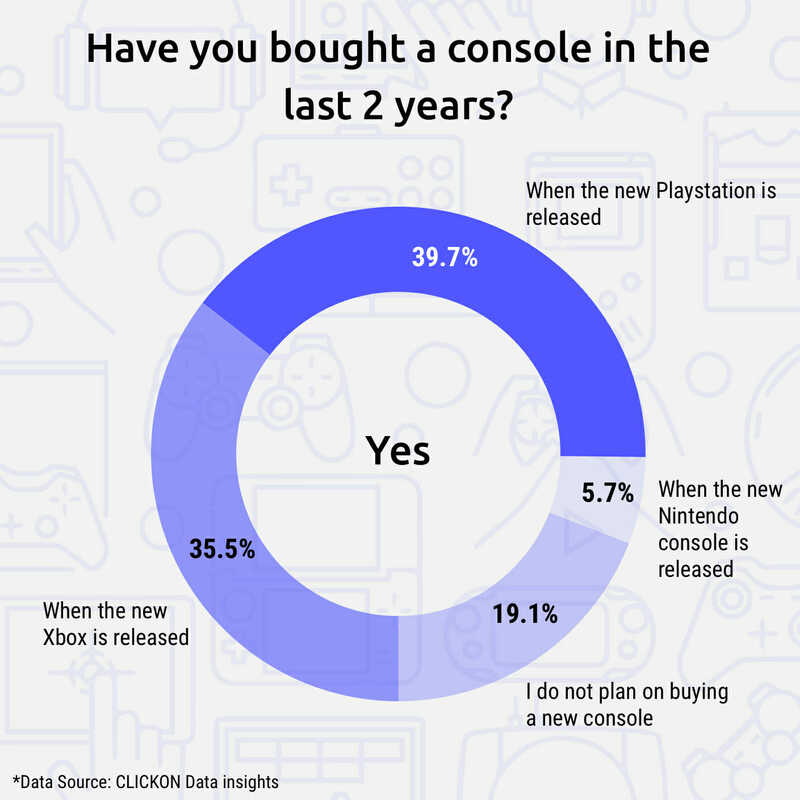 Over 9% more of these gamers planned on getting the next Sony device rather than the new Microsoft console; little over 5% said their next move would be for a new Nintendo system. 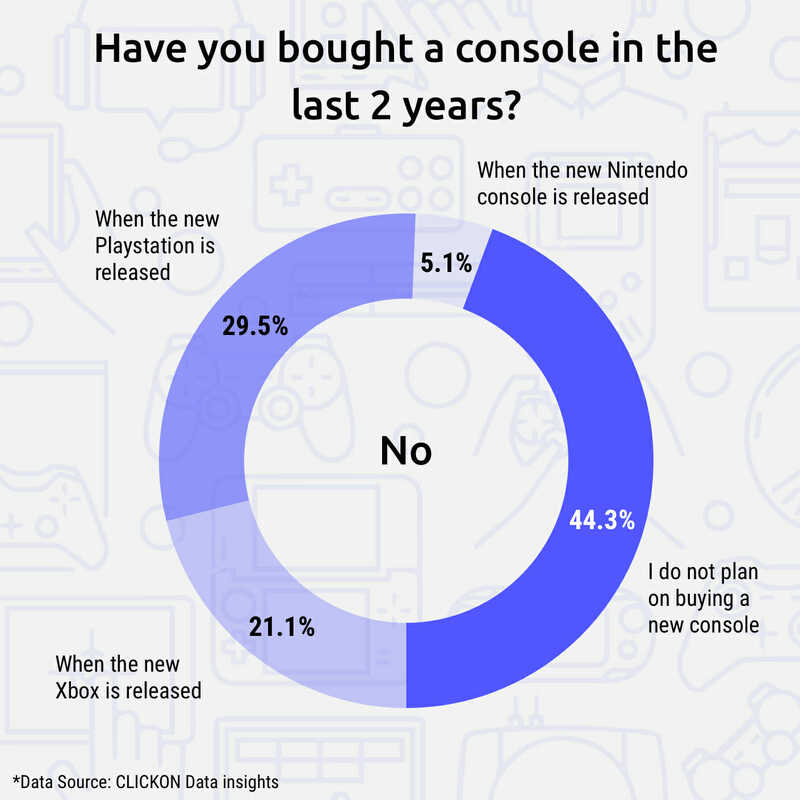 Those who had bought a games console in the last two years were, unsurprisingly, more likely to plan on buying another one in the future. What’s interesting, however, is that these gamers also expressed a preference for the next PlayStation. Well, it certainly seems to have little to do with attitudes towards Sony and Microsoft’s premium online services. 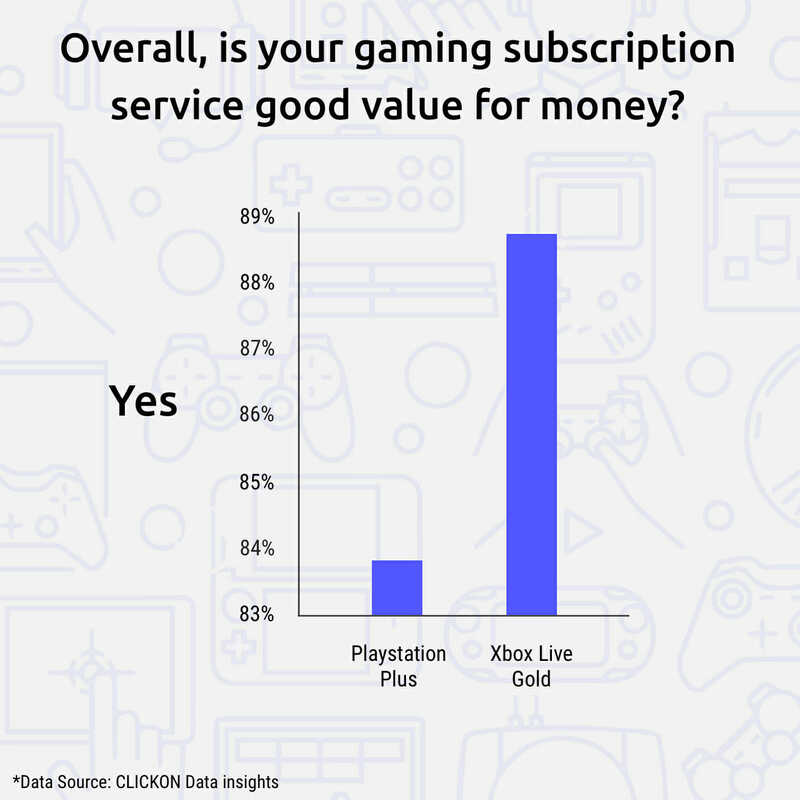 When questioned, gamers expressed higher satisfaction with Xbox Gold over PlayStation Plus. Nevertheless, both enjoyed over 80% approval in the polls. The most likely explanation is the sheer quality of PS4 exclusives. Xbox One can boast console exclusivity over Sunset Overdrive, Gears of War and the excellent Cuphead. Yet the superior Horizon: Zero Dawn, Uncharted 4, God of War, and The Last of Us series all call the PS4 home. Sony may have let Snake sneak away, but the best exclusives of this generation have been on their device. Perhaps it is this that will decided it. After all, who could spend a day in Horizon or wipe a tear from their eye whilst playing the breathtaking Last Of Us and want to miss what Sony get up to next?